Despite the pessimism, Facebook continues to post strong numbers. Although the average user revenue worldwide growth came in at 28% which is below the average of last several quarters, the behemoth is now earning >$20 per user in the US and Canada. 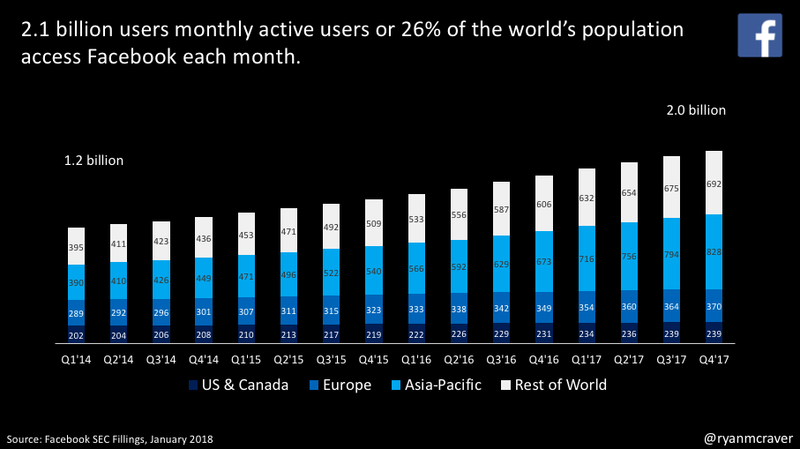 One point that I haven't seen in recent quarters is the daily users were down slightly in the US and Canada...otherwise the growth elsewhere is mind boggling. Nearly 1.5 billion people access the platform daily. Updated charts below.